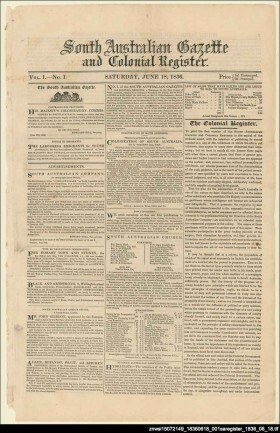 South Australia’s first newspaper was the South Australian gazette and colonial register, later titled the Register. The Register was founded by friends and partners Robert Thomas and George Stevenson in London sometime in 1836 under the partnership name R. Thomas & Co. Stevenson was responsible for content, Thomas for printing. 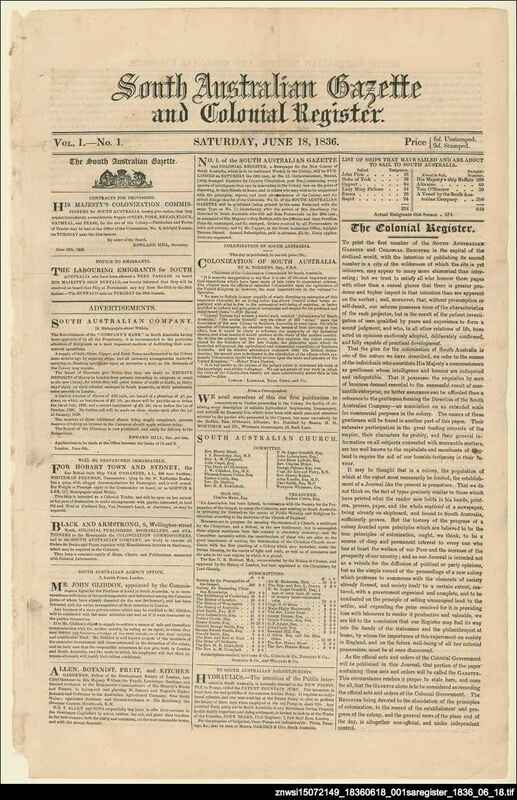 The first issue of the newspaper was printed in London on Saturday 18 June 1836. 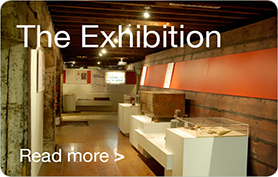 It included information about the new colony, a notice to emigrants, and advertisements from the South Australian Company and the South Australian Colonisation Commission. The front page also listed ten ships that had or were about to sail for the new colony. This included the nine ships to arrive in South Australian in 1836 and one ship described as ‘a vessel by the South Australian Company’. This tenth ship was likely the Coromandel which left England in 1836 with emigrants for the new colony but did not arrive in South Australia until January 1837. Before leaving London, Thomas and Stevenson secured the role of Government Printer for the new colony. Robert Thomas, his wife Mary and their family, along with the printing equipment, departed for South Australia on board the Africaine in June 1836. Stevenson departed on the Buffalo the following month. Click here to view the entire first issue of the South Australian gazette and colonial register on Trove. Image credit: SLSA: Special Collection 079.42 S726 d - p.1, South Australian gazette & colonial register, 18 June 1836.